In one of the greatest ironies in the realm of history, the gunpowder was supposedly formulated for the first time (by Chinese alchemists in 9th century AD) to serve as an elixir of immortality. Suffice it to say, in the coming centuries, the chemical composition completely changed the landscape of military history, with gunpowder weapons dominating the battlefield from 16th century to our modern times. In essence, it surely contributed more to death than any grand notions of immortality. However, from the purely objective perspective, there is no denying the ‘advanced’ state of the composition in itself, and how it translated to a flurry of fascinating weapon systems from the middle ages. Please note* – Some of these amazing gunpowder weapons were mentioned in literary sources, and as such the true state (and effectiveness) of their practical usages is still a matter of debate. This predicament is exacerbated by the lack of working scopes described in many such sources, thus limiting the detailed assessment of the weapons. 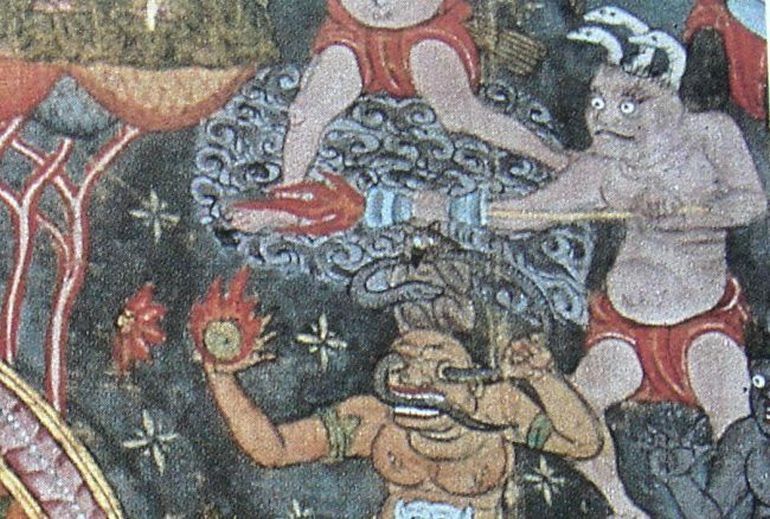 The Fire Lance (or Huo Qiang) was a spear-like weapon that actually combined a long Chinese spear (qiang) with a firework-like charge neatly kept underneath at the end of the spear head. This design was possible with the use of a hollow bamboo tube attached to the spear-end, and it could store additional projectiles (along with the gunpowder). So when the firework started, the charge could eject out these small projectiles (ranging from arrows, buckshot to even poisonous fumes) in the direction of the enemy. However, it should be noted that the effective range of the earliest models of this gunpowder weapon (from around 10th century AD) was only limited to a few feet; and so after the initial ‘shot’, the fire lance was simply used as a spear. 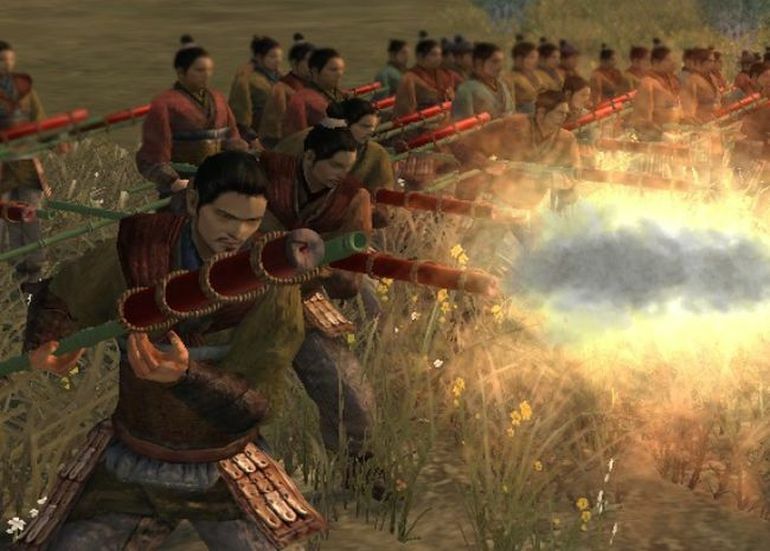 But within two centuries, the Chinese engineers had also developed the so-called fire arrows or Huo Jians – that basically entailed arrows propelled by gunpowder. And together, the fire arrow and the fire lance surely made a potent combo, thus giving the infantrymen tremendous advantage in tactical scenarios, especially when defending at the gates. According to one particular incident, during the siege of De An in 1127-1132 AD, the defenders made use of an improvised weapon system by strapping together 20 fire-lances that were salvaged from components of normal traction catapults. 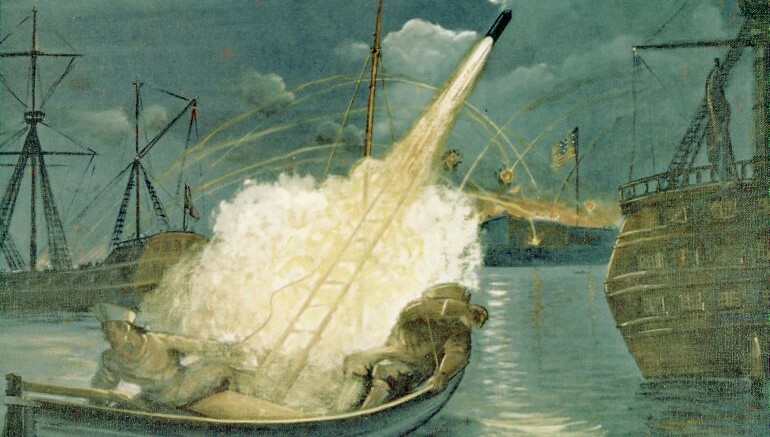 More importantly, such technological applications of gunpowder in the battlefield paved the way for three separate forms of weaponry – the gun, the rocket and the cannon. 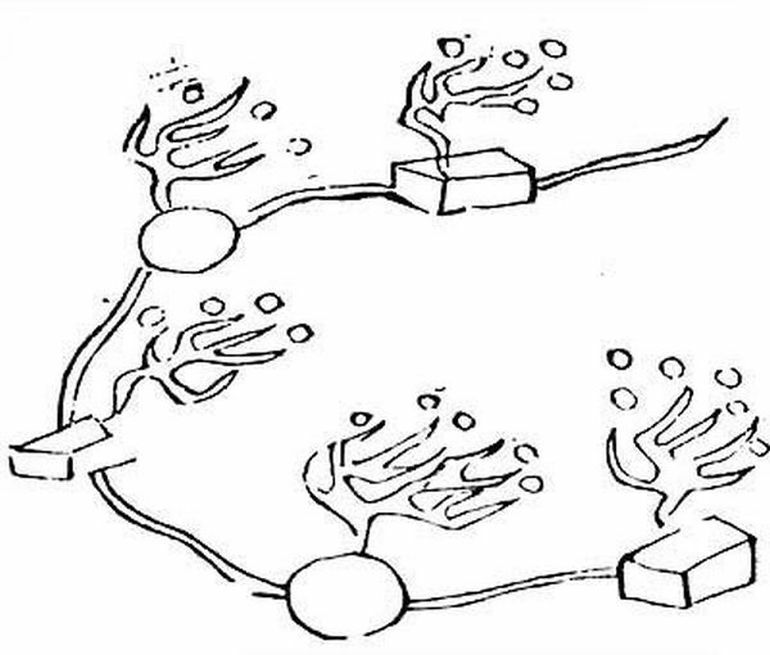 According to Joseph Needham, in his book Science and Civilization in China, the Chinese forces under the Song Dynasty did use explosive landmines as a defensive strategy against the marauding Mongols. On particular incident during this time pertains to the year 1277 AD when one Lou Qianxia crafted an ‘enormous bomb’ that was successfully detonated when the Mongols were besieging a southern Chinese settlement. The follow-up to such military actions led to the documentation of the said technology in the famed 14th century Chinese manual Huolongjing. The explanation for these landmines mainly related to the use of hollow cast iron balls that were filled with gunpowder. These mines are mostly installed at frontier gates and passes. Pieces of bamboo are sawn into sections nine feet in length, all septa in the bamboo being removed, save only the last; and it is then bandaged round with fresh cow-hide tape. Boiling oil is next poured in and left there for some time before being removed. The fuse starts from the bottom, and is compressed into it to form a Zha Pao (explosive bomb). 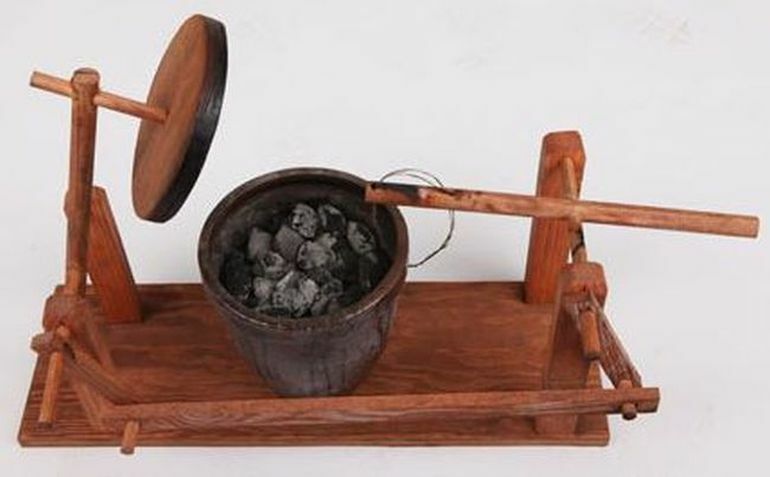 The gunpowder fills up eigth-tenths of the tube, while lead or iron pellets take up the rest of the space; then the open end is sealed with wax. A trench five feet in depth is dug. The fuse is connected to a firing device which ignites them when disturbed. Interestingly, there were also instances when the enemy was lured into the ‘trespassing zone’ of special mines (known as Zi Fan Pao or ‘Self-induced Bomb’) by placing weapons on the mounds concealing the firing devices (that were usually slow-burning bowls). Fueled by our innate desire to get hold of shiny (and free) objects, the poor soul would trigger the gunpowder-based setup by the overturning this bowl, thus leading to the fuses being lit for the imminent detonation. One of the first European innovations in the field of gunpowder weapons entailed a big and boisterous cannon that was held by hand! 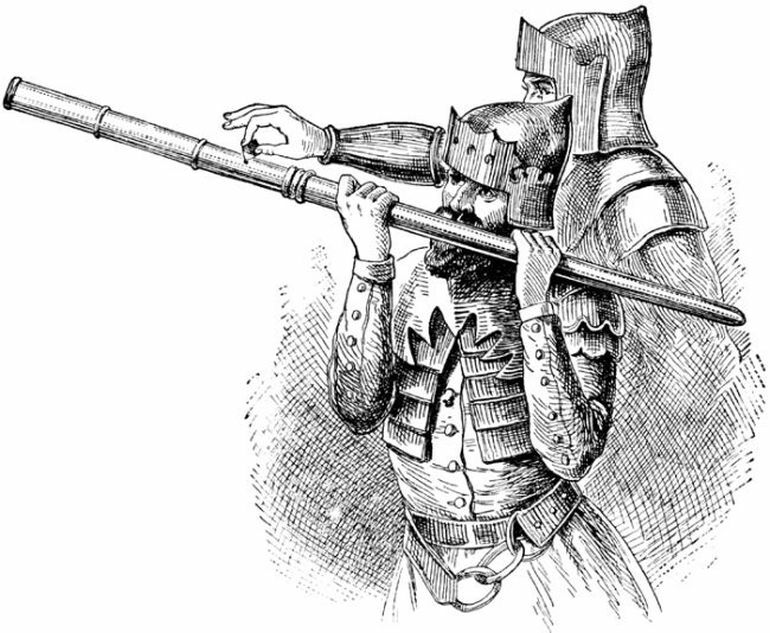 Known as the culverin (or hand culverin), it preceded even flintlock muskets, with the seemingly simple technology accounting for a hollow tube fixed (or mounted) on a wooden staff. This unwieldy contraption was held against the shoulder or above the shoulder to provide stability while aiming. As for the firing part, the user ignited the powder with a rope soaked in slow-burning potassium nitrate, which ‘fueled’ the spark into the breech and lighted up the main charge. Suffice it to say, this gunpowder-based weapon system was pretty dangerous for the user, with documented cases that mention deadly accidents – like the fatal incident involving the death of King James II of Scotland and his cannon ‘the Lion’. However, over time, the engineers developed more smaller and compact versions of the culverin (or hand cannon), a trend which evolved into the advanced design of the so-called handgonne. These 20 lbs weighing gunpowder weapons were more akin to the handheld firearm as opposed to a cumbersome cannon, and could fire smaller projectiles of around .50 to .70 caliber. This shift in the technological progression was crucial in the long term, with handgonnes (‘gonne’ is the Middle English word for ‘gun’) eventually paving the way for muskets – the precursor to modern day guns.